2 PROTECTORS FOR THE PRICE OF 1, FAST USA SHIPPING! Compatible with Motorola Droid Turbo XT1254. 0.3mm thick premium-grade tempered glass screen protector provides maximum image clarity and ultimate touch screen sensitivity. Oleophobic coating prevents excessive fingerprints and oil stains from contaminating the surface, making it easy to clean. Designed for ZTE Z987 Z787 Grand X Max. This Tempered Glass Screen Guard is the ultimate solution for your phone's display. 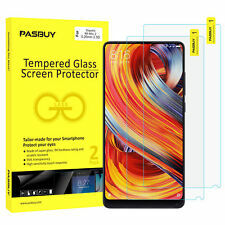 This Tempered Glass Screen Guard is designed to maintain every last bit of sensitivity in your phone ’s display, providing a better overall experience. Tech21, Impact Shield For Samsung Galaxy Note 3, SUPM40988, T21-3703, T213703, T21-3703-V2, T213703V2, Clear, $34.99, New, Advanced impact protection, BulletShield featuring BASF protection interlayer also used in bullet proof glass, Easy application. This is a Lot of 15 Screen protectors for Apple, Samsung, and LG. All items will be shipped together. Some multiples of each, all are shown in pictures. All brand new, still in original packaging. 9h hardness (3 triple hardened than PTC material) for the ultimate protection: wear resistance, heat resistance, shockproof, scratchproof, explosion-proof and best impact. We use advanced glass material AR (much better than PP, PE, PVC, PET, OPP), a industry-leading glass strength of 9h hardness and multi-layer design to give your smartphone the best protection. 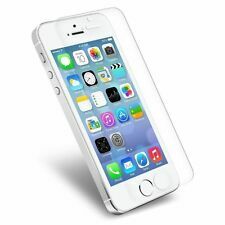 The Tempered Glass is0.33mm thick and made with chemically treated transparent tempered glass. Can provide break protection and shock resistance. The Tempered Glass has an oleophobic coating that prevents fingerprints and other contaminants and makes the film easy to clean. Gadget Guard Ultra HD Screen Guard for LG G2. Can be installed wet or dry. Self-healing & Superior Clarity. Contains Screen Guard, Instructions, Squeegee and Cleaning Cloth. SKINOMI products are NOT cases. The Skins or Screen Protectors are custom made to specifically to fit your device. They are very lightweight and stylish. Squeegees are no longer included with Skinomi Products. OtterBox Clearly Protected Hi-Res Screen. - Compatible with iPhone 5, 5S, 5C and SE! Protector for Apple iPhone 5/5S/5C/SE. - Great for keeping your touch screen crisp and clean. - Impact protection. Otterbox 77-35276 Clearly Screen Protector for iPhone 5/5C/5S/SE,100% Authentic. Up for sale is one Otterbox 77-35276 C learly Protected series Screen Protector for iPhone 5/5C/5S/SE, 100% Authentic. Otterbox Clearly Protected Series Screen Protector for iPhone 5/5C/5S/SE. Compatible with select OtterBox cases. 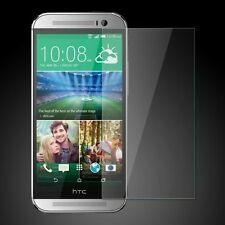 The HTC One M8 Screen Protector is the clear choice for maximum scratch protection. The HTC One M8 Screen Protector goes beyond your traditional HTC One M8 screen protectors, skins, covers, and cases. 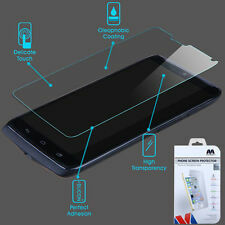 Premium Tempered Glass Screen Protector Film Guard for Motorola Moto G (1st Gen.). Made from a special tempered glass. Designed for theMotorola Moto G. No delays - We work around the clock to serve you. 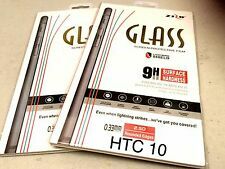 Premium Quality Zizo Lightening Shield Tempered Glass for the HTC 10. 33mm 9Hardness,Tempered Clear Glass. Rounded edges. BodyGuardz - HD IMPACT Anti-Glare, Impact Resistant Screen Protection for Appl.. Manufacturer: BodyGuardz. The HD Impact screen protectors are also available in an anti-glare, smooth matte finish that is naturally resistant to fingerprints. 1 ScreenGuardz HD IMPACT screen protector.